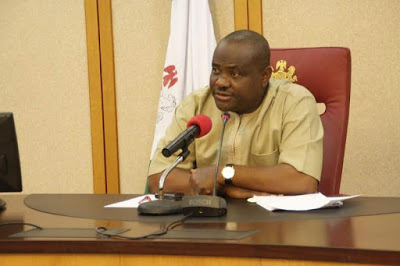 WARRI—THREE civil society organizations in the Niger Delta, yesterday, disagreed with Governor Nyesom Wike of Rivers State on his recent statement that the unity of the country was not negotiable, saying his unconditional support for the unity and indivisibility of a defective federal structure that favours only a section of the country was unacceptable. The groups, Niger Delta Security Watch Organization of Nigeria, NDSWON, Ijaw People Development Initiative, IPDI, and Foundation for Human Rights and Anti- Corruption Crusade, FHRACC, in a joint statement by their leaders, Dickson Bekederemo, Austin Ozobo and Alowei Cleric, respectively in Warri, Delta State, said: “The unity and indivisibility of Nigeria does not exist in the minds and hearts of the federating regions that constitute the country. The unity and indivisibility of Nigeria exists only in a piece of document called the constitution of the federal republic of Nigeria 1999. Our attention has been drawn to a statement credited to our most respected governor, Nyesom Wike of Rivers State that leaders and people of the Niger Delta will always strive to defend the unity of Nigeria because to them, the country remaining as one indivisible entity is not negotiable and of paramount importance. While we acknowledge the fact that Governor Wike is loved and respected in the Niger Delta region as a result of resilience in warding off the invaders of our oil wealth, we find it difficult to stomach his unconditional support for the unity and indivisibility of this defective federal structure that favours only a section of the country. “A united people rather see themselves as an egalitarian society other than creating the feudal system where a vast majority of Nigerians are made to beg alms from the feudal lords. A united people will not celebrate ethno-religious killings where some people are religiously bound to kill others with impunity. Is there any unity in Nigeria where only a particular section is qualified to rule the country while others are regarded as second fiddle citizens? A united people will not pass obnoxious laws to deprive the actual owners of their God given resources.